Recently-single model Rayna Dutt does not feel like flying to her friend’s big fat Indian wedding. But she does – and when a mix up with room allocations forces her to share a luxury villa on Emerald Isle with the gorgeous owner of the hotel – Neel Arora – and best man at the wedding, things begin to look up. Hitting the panic button, Rayna searches for a solution. Surely Neel wouldn’t mind being her fake fiancé…? In an instant the attraction they share is fever pitch, but when scandal comes calling, Rayna soon finds herself in more trouble than she can handle! 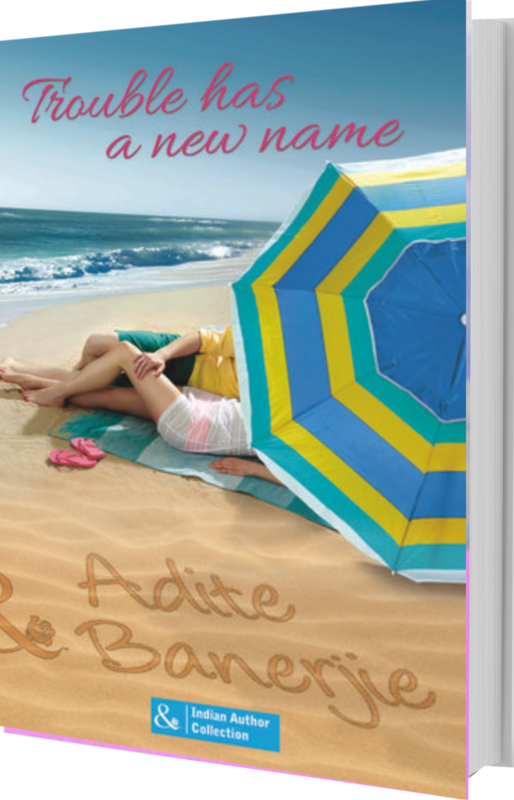 Adite Banerjie discovered Mills & Boon romances and their amazing assortment of drool-worthy TDH heroes in her teens. Around the same time she fell in love with song-and-dance Bollywood romances. Growing up in a home with a filmmaker dad who worked in the world’s largest film industry (yes, Bollywood!) and a voracious reader for a mom, it was inevitable that she would come to love both films and books.During her exciting and fulfilling career as a business journalist, she found the time to indulge her passion for both Bollywood romances and M&Bs. But after years of reporting and writing about the real world, she chose to return to her love for fiction and turned screenwriter. She turned Harlequin author after winning the 2012 Passions Aspiring Authors Contest. 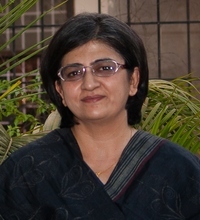 The Indian Tycoon’s Marriage Deal, based on the winning short story for the Harlequin contest, was released in December 2013 in India. Trouble Has a New Name was released in 2014. Both are available in paperback (India) and in the e-book format globally. Her third title (romantic-suspense), No Safe Zone, will be released in May 2016.